WAITING FOR THE WEDDING DAY?! WHAT A FUN! 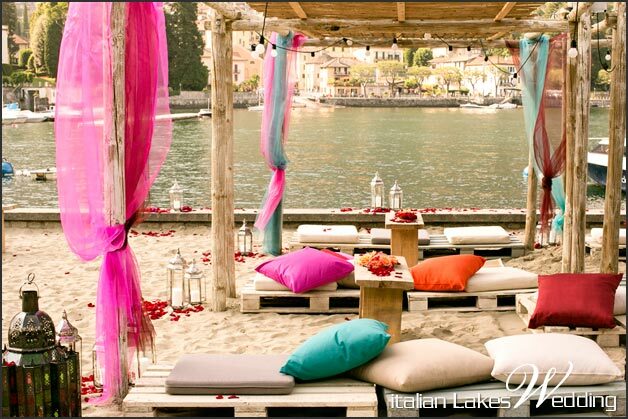 Getting married on Lake Como is a dream for many couples in love. 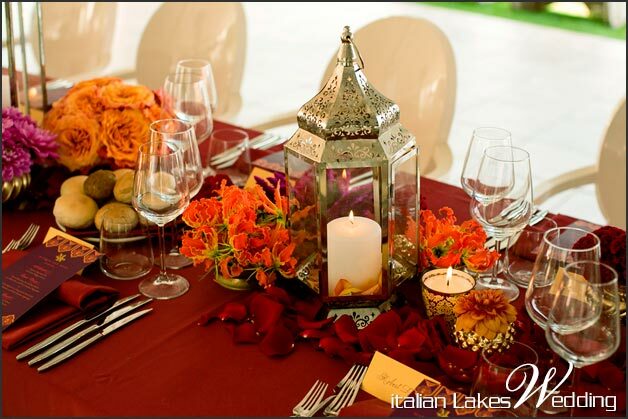 As wedding planners we know how important is your wedding day and also to get it ready! 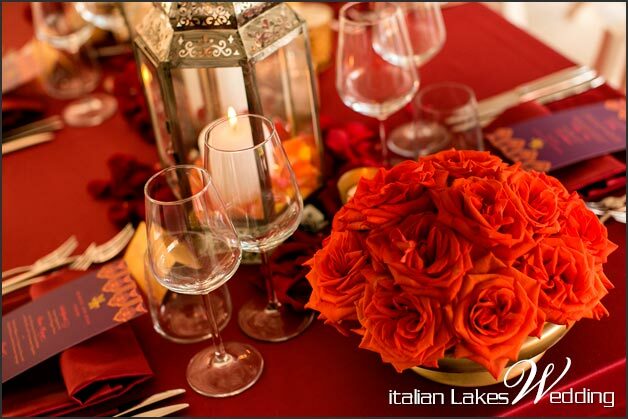 Now we’ll tell you about the possibility to have a great rehearsal dinner on our lake’s shores. 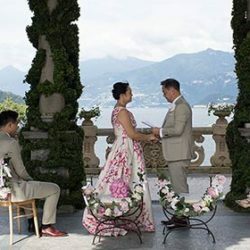 It can be an experience as funny and exciting as the wedding day itself! 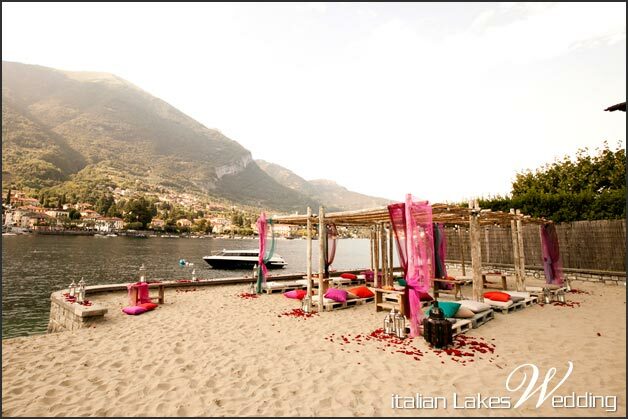 Especially because we can manage it in a wonderful beach club. 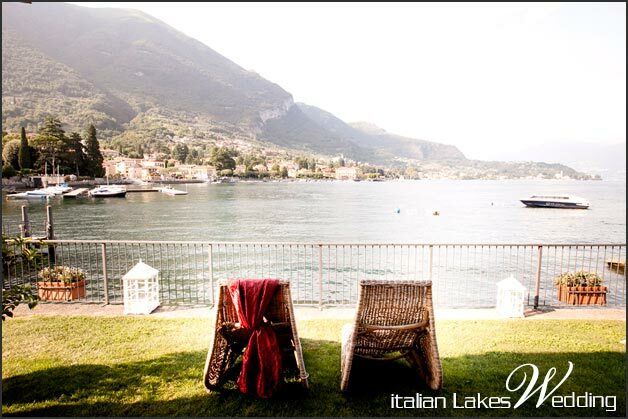 We have a great example for you… read more and dream with us! 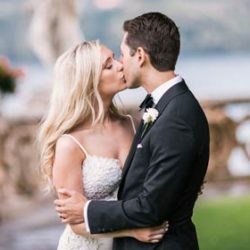 ow many times do you think about your wedding day? We definitely know this is the most important thought every couple in love can think of. 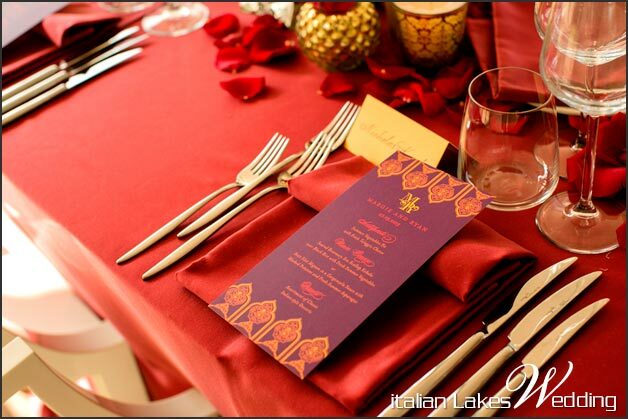 Now imagine your wedding has already been organized. Everything has been decided and every single detail is already fine tuned. What you need now is to enjoy your wait. Do you think it is impossible to make it a happy time? Now we’ll show you a very nice way to spend a funny and stress less time till your great day! 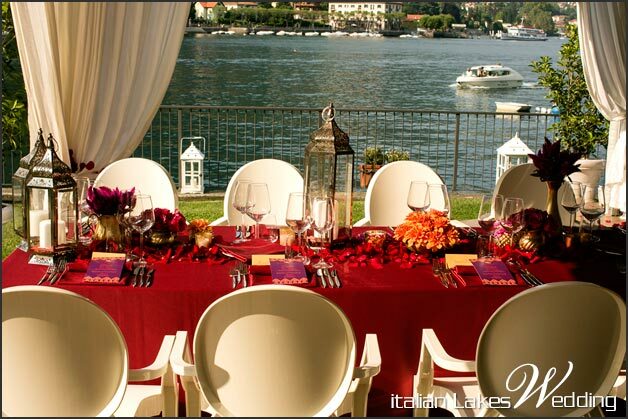 Margie and Ryan both live in New York and they decided to get married on our amazing Lake Como. 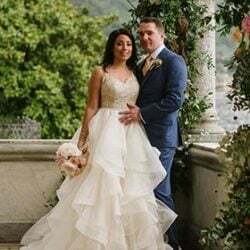 Their wedding took place in stunning Villa del Balbianello, one of the most romantic and breathtaking venues on our territory. 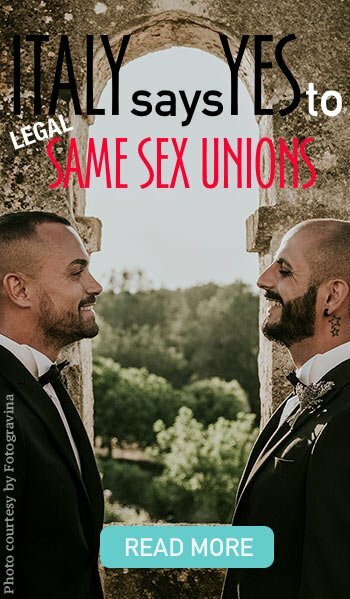 But what we want to tell you now is how they decided to do before! 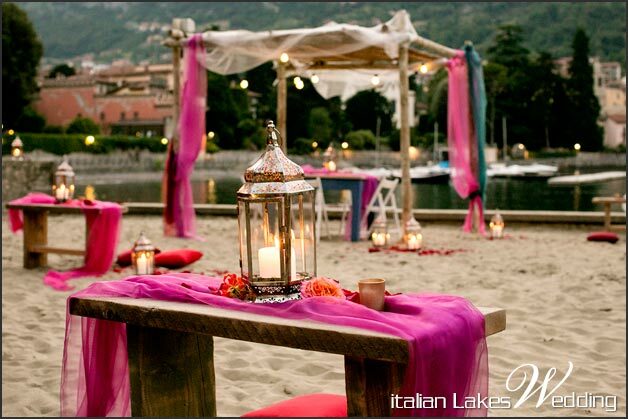 Our lovely couple wanted to share with their guests coming from all over the world an unforgettable evening in one of the most beautiful beach clubs on Lake Como. 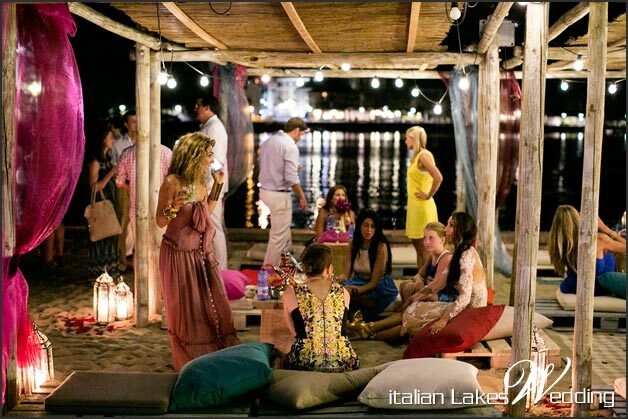 Beach party’s ingredients were: Margie and Ryan’s love and their wedding expectancy, lots of friends and relatives, an amazing beach club overlooking the Lake, a Moroccan style atmosphere, an exciting fire-eating show and a passionate dj-set. Now let’s see step by step how we made all these possible! 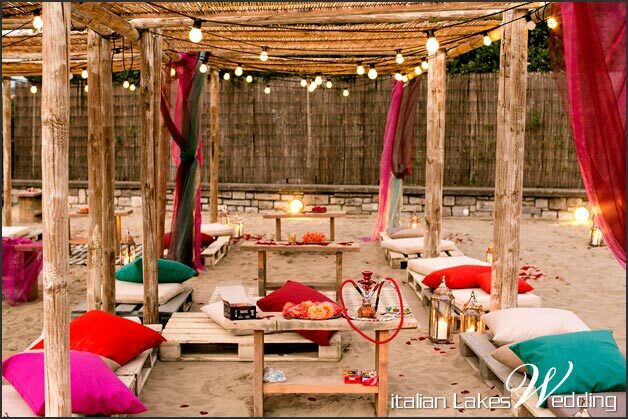 Margie and Ryan wanted a special atmosphere for their beach party. Something exotic, colorful and unexpected. At the end they decided for a Moroccan style party! 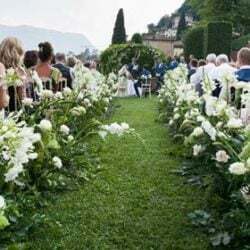 As wedding planners we were pleased to take up the challenge and we did our passionate imagination run wild to make their wish come true. 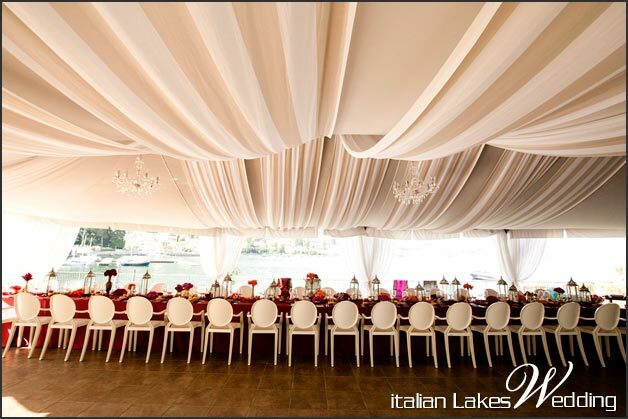 We put precious blue and fuchsia long awnings onto every gazebo. It was a great scene thanks to the wind blowing through! 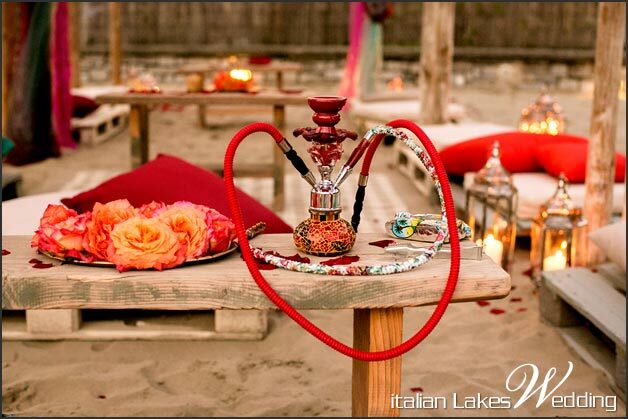 All gazebos were also set up with big white cushions and low wooden tables where we put some hookahs! 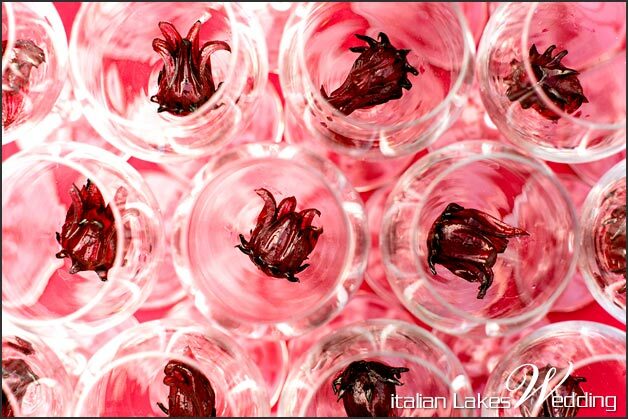 Guests enjoyed a lot testing different tobacco species! 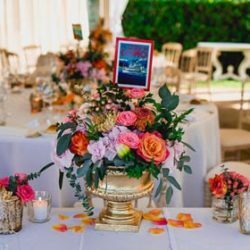 Last but not least, the beach was embellished with many lamps, candles, antique bronze vases and small cups filled up with orange, red and fuchsia roses and dahlias. On the sand, a lot of petals completed the magic Moroccan atmosphere! 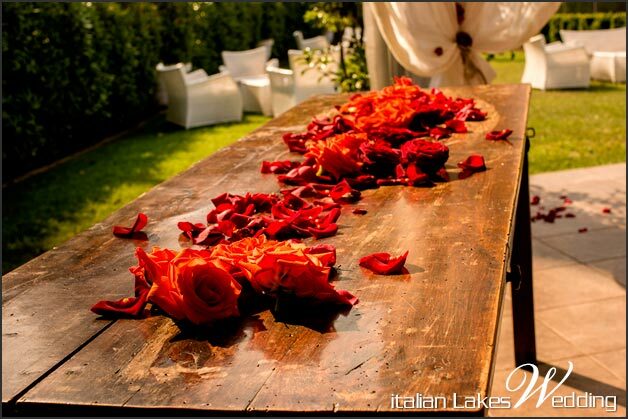 A great and fun party needs even great music and something unexpected to amaze your guests! Our Margie and Ryan wanted to mix Moroccan’s suggestions to a modern music to dance. We organized a stunning fire-swallower show. What a surprise for all guests! While beach party kept on, a very striking performance started without notice and it involved and amazed everybody! 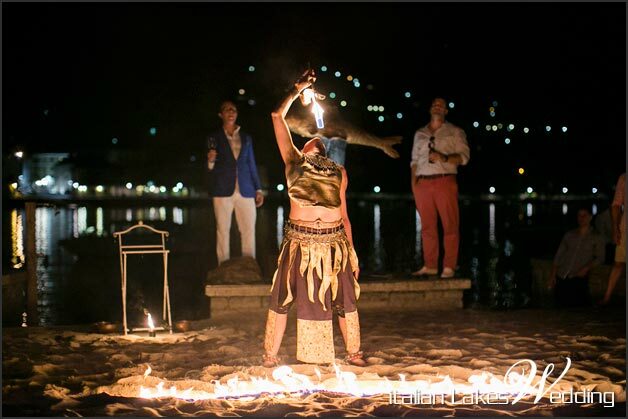 Is not ordinary to see a skillful fire-swallower performing on a Lake beach! 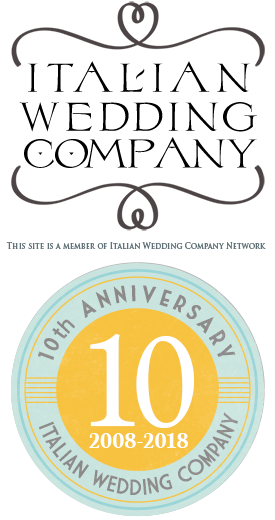 We did it and everybody enjoyed this choreographic surprise! But the best way to complete a party is having great music for sure! 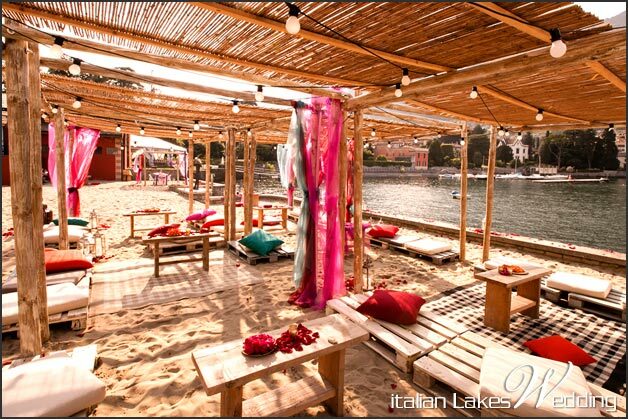 The beach club had an indoor area where we were able to set and enjoy dj-set and bar. Everybody danced all the newest hits, drinking and having a lot of fun! 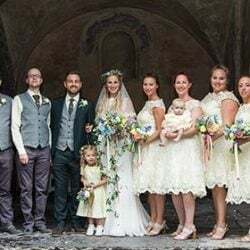 Our bride and groom to be and their families and friends had an amazing evening. 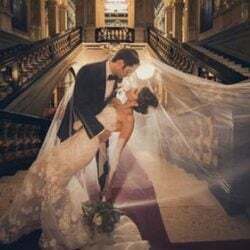 They spent the night before the wedding day enjoying themselves and sharing the expectancy for the ceremony. Margie and Ryan were really happy about beach party’s success! It was the best way to wait for their sweetest day that had to come! 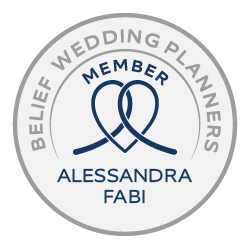 …and we’ll be really happy to plan for you something similar to surprise and involve your guests in the right mood for the wedding! 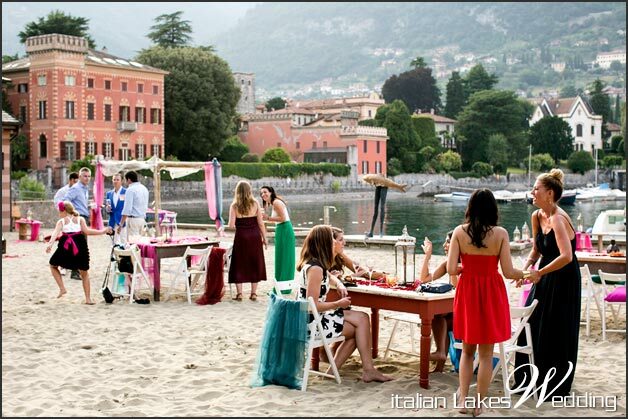 A special thanks to Studio Morlotti for lovely shots of Margie and Ryan’s beach rehearsal dinner on Lake Como!